Italy’s financial markets and services provider regulator CONSOB (Commissione Nazionale per le Società e la Borsa) has updated its list of forex brokers who are not licensed to operate in Italy with one new addition – ProTradeFX. This broker has been offering investment services and activities to the Italian public without being authorized in the country. 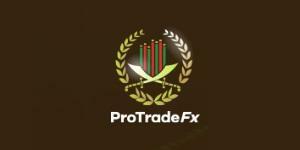 ProTradeFX is a Forex and CFD broker that operates through the www.protradefx.com website. The company is owned and operated by Game Capital Ads Limited, based and registered in the St. Vincent and the Grenadines. As to the St. Vincent and the Grenadines Financial Services Authority (FSA) registration, we keep reminding remind that FSA has announced that it does not issue any licenses for forex trading or brokerage nor does it regulate, monitor, supervise or license international companies, which engage in such activities. In addition, there are two contact phone numbers provided (UK and Bahrain) and the website supports English and Arabic languages, which proves that the broker has been targeting traders from these countries. The company is not regulated to provide its financial services in EU or any other countries, which is already a valid reason to avoid trading with ProTradeFX. When engaging with brokers that do not operate on the grounds of a valid license, issued from a trustworthy authority, traders are putting their investments at higher risk. It is better to avoid dealing with offshore brokerages and choose properly regulated and reliable brokers. A good example of such are the ones supervised by the FCA or ASIC. You can read our review on this broker here.